Bronx, NY – Are you ready to follow the money? 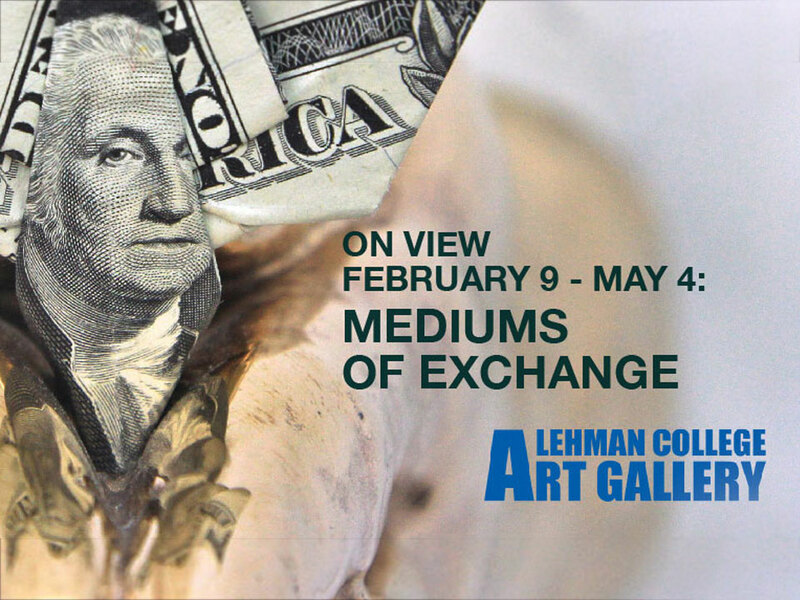 Lehman College and Borough of Manhattan Community College (BMCC) will present “Mediums of Exchange,” a two-part art exhibition that opens first at BMCC on Jan. 31 and then at Lehman on Feb. 9. The exhibition, which is free and open to the public at both locations, marks the first collaboration between two of the largest gallery spaces in the City University of New York (CUNY) network. “Mediums of Exchange” presents more than 30 contemporary artists who appropriate and contextualize money, using currency as a material in their work or taking a conceptual approach to the global economic system. Exploring the ever-changing forms and uses of currency, the artists in “Mediums of Exchange” engage in sociological, psychological, and economic approaches that raise new questions about the role of money around the world. Andy Warhol, who frequently spoke about his fascination with the dollar, is the chief historical reference point for the artists in this exhibition. “Mediums of Exchange” is co-curated by Bland and Panzera. The exhibition will be accompanied by a fully illustrated 120-page catalogue published by CUNY with essays by Bland, Panzera, and Georgette Gouveia, editor of “WAG” magazine. Reception: Feb. 6 at 6-8 p.m. Reception: Feb. 13 at 5-8 p.m.